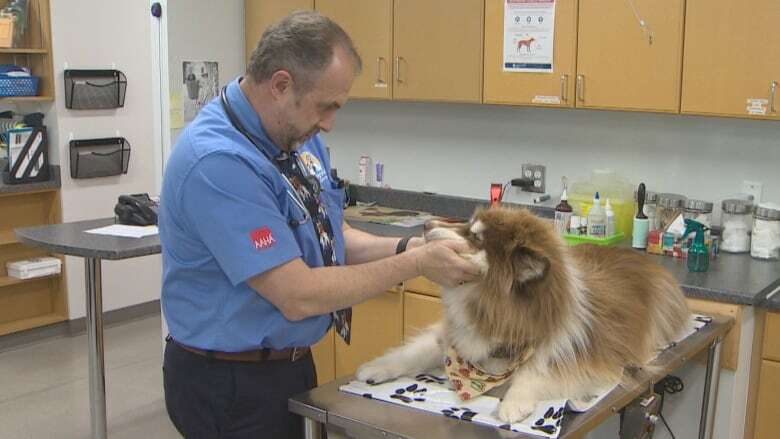 With legalized marijuana on the horizon, a Nova Scotia vet says he's seeing an increase in dogs overdosing on pot, even as interest grows in treating pets with cannabis oil. 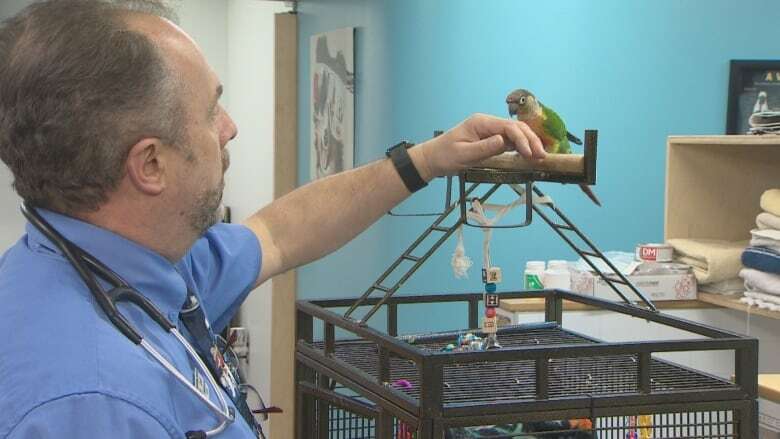 "Dogs are getting into people's stash, brownies or suckers, and basically they've been pretty messed up by it," said Dr. Jeff Goodall, who runs Sunnyview Animal Care Centre in Bedford, N.S. Goodall said he can't remember treating a pet for marijuana toxicity a few years ago. But in the last two years, he's had about eight dogs come into his clinic showing the telltale signs — urinating uncontrollably, wobbling, and vocalizing. "We're definitely seeing many more suspicious cases," he said. Marijuana can cause dogs to become extremely ill and, in rare cases, can kill them, Goodall said. "Dogs are extremely sensitive to much lower doses than people are," he said. Goodall said owners sometimes come in with a sick dog reluctant to explain what happened, delaying necessary treatment. "Because THC stops vomiting, we need to either flush their stomach or give them activated charcoal," he said. "[We] keep them in one of our treatment areas where we have a lot of padding around because they are still wobbly," he said. "Then we let them ride it out." These types of cases may become more common once pot becomes legal in Canada. A recent study in Colorado of 125 dogs found cases of marijuana toxicity in dogs quadrupled after pot was legalized there. "People are not treating it as carefully as they should," said Goodall. "With the pending legalization of marijuana in our country, people need to be aware they need to treat it like any other prescription medication." Goodall said he's also worried people will think what they feel is good for them is also good for their furry companions. "One of the cases we had was somebody trying out marijuana on their pet for what they thought might help its pain," he said. While the type of marijuana humans consume is toxic to pets, Goodall said there's a growing interest in other forms of cannabis extracts, which some say are useful. The most popular for pets is cannabidiol or CBD oil, which is derived from cannabis. It has low or no THC, which is the compound that gives the drug is psychoactive effect. "I've certainly had people ask about it," Goodall said, saying some studies show CBD oil may help pets with pain, inflammation, epilepsy or cancer. 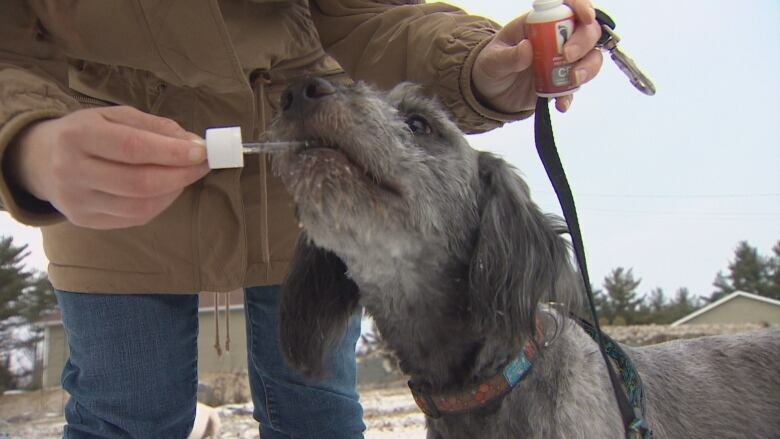 While veterinarians can't prescribe it, the oil is available commercially, and some dog owners are flocking to it. 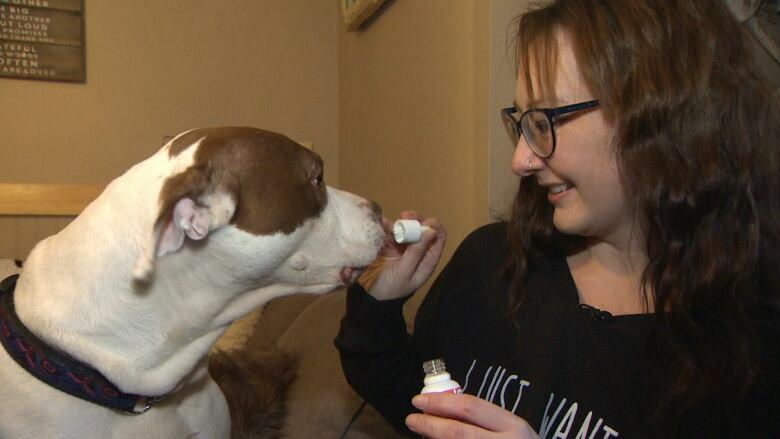 In Western Shore, N.S., Sarah McCorriston treats her four canines with CBD oil. She said it's helped her furry companions with everything from allergies and anxiety, to pain and arthritis. "My senior dog has actually shown more energy and life to him than I've ever seen," she said. McCorriston first started taking CBD oil herself two years ago after being diagnosed with post traumatic stress disorder. After seeing the benefits it had in her life, she said she decided to look into getting a similar product for her dogs. She's since made a business selling the product online, and said customers from across Nova Scotia contact her every week asking for the oil. 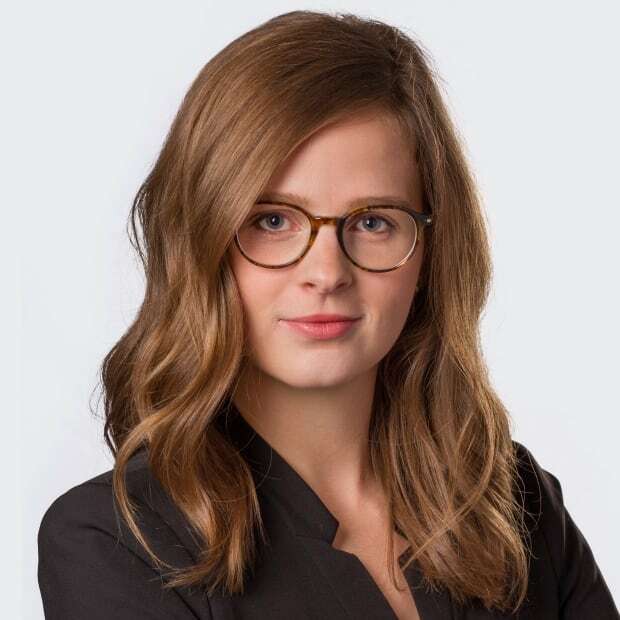 However, the Canadian Veterinary Medical Association warns in a recent statement against the use of any marijuana product, including CBD oil. "Due to lack of sufficient evidence about effective, safe dosage and optimal frequency of administration in dogs and cats, owners should not dose their pets with any type of marijuana product," the association advises. "For now, marijuana of any type is not approved for medicinal use in animals, and giving products to your pet may have unknown side effects and unproven effectiveness."